Let’s start with the definition of “what is good sleep”? To encourage healthy sleep, you need to have good sleep hygiene. See section below on “good sleep hygiene”. 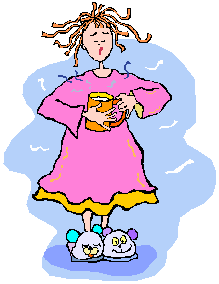 What are symptoms of insomnia or poor sleep in TCM (Traditional Chinese Medicine)? What Are the Benefits of Good Quality Sleep? Wake feeling rested and energized for whatever may lie ahead in your day. Body is strengthened in its own ability to heal and restore itself. Lower blood pressure; reduced stress. Able to better absorb and understand information throughout your day (vs. being sleep-deprived). You are better able to react and respond appropriately to various factors throughout your day. fewer accidents and mistakes (www.mayo.com). If you are having any of the above symptoms, first take a look at your sleep hygiene. Having good sleep hygiene is the simplest way to manage and prevent insomnia. Check with your primary care provider if the medication you take for the following is aggravating your insomnia. Your physician may be able to find a similar medication for you that does not contribute to sleep problems. DO NOT STOP your medications without the supervision of your physician. Many of these medications, if not tapered properly can cause severe rebound insomnia and other more serious issues. What is the Training Level of My Acupuncturist? The protocol and techniques taught in the Acu-tack Courses treat insomnia by breaking the cycle of stress, pain, and insomnia. This protocol helps the body remember how to balance its ability to reset from fight or flight mode (sympathetic nervous system state) to rest and digest mode (parasympathetic state). If you are a medic or corpsmen or other deploy-able medical personnel and interested in taking a course from De-Stress Vets, check out the website for information on "Acu-tack for Stress Relief©"and "Acu-tack for Pain Relief©" or send an email with "requesting info on Acutack courses" in the subject line to info@destressvets.com.